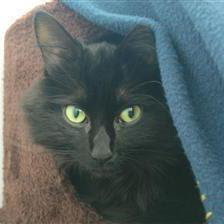 Lizzie is a gorgeous 10 year old cat looking for a new owner as her previous one couldn''t care for her anymore. 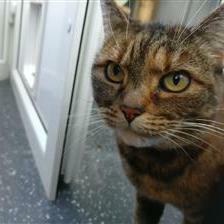 This friendly, loving and still very active lady would make a perfect companion for someone with lots of love to give and a nice garden. Lizzie is at the London centre. Check out her profile here to find out more about her. 6 year old Niko is a sweet boy looking for a new start in life. 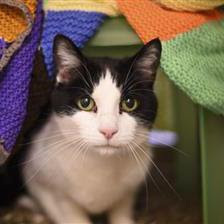 He has had a lot of changes in his life so is a bit shy, but he really loves a little tickle under the chin and a fuss. Handsome Niko is also at the London centre (who took great care of me while I was waiting to be adopted). Check out his profile here. This handsome boy is Barry White. He's a bit nervous right now being without his home comforts but he is a sweet and friendly 10 year old cat with a lot of love to give. He is at the Godmanchester centre. Check out his profile here to find out more about him. Older kitties are the BEST! Adopt! Niko reminds my human of her dad's cat, Smokey. They are all beauties, I pray they get forever homes soon.